The PM's intervention was sought to stop Chief Minister Manohar Parrikar from taking the step of allowing Karnataka to divert the waters of the Mahadeyi river. 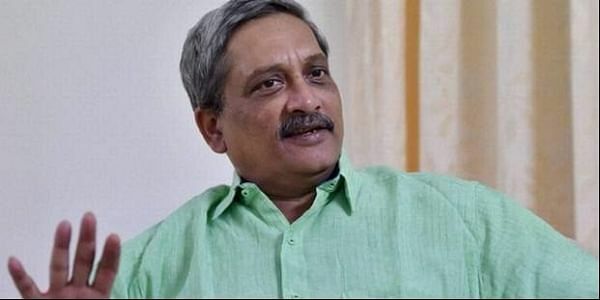 PANAJI: The Shiv Sena in Goa has written a letter to Prime Minister Narendra Modi asking his intervention to stop Chief Minister Manohar Parrikar from taking the step of allowing Karnataka to divert the waters of the Mahadayi river. In the letter, the party's Goa spokesperson Rakhi Prabhudesai Naik has termed the move by Parrikar on Christmas as that of being a "Bad Santa Claus" who is snatching the future of our children, which is river Mahadayi. "Santa Claus distributes gifts to bring smiles on the faces of children but our Parrikar, who is a "bad Santa Claus", has instead snatched the future of our children by agreeing to divert the water of River Mahadayi," the letter states. Naik in the letter said that the party wanted to express to the PM its displeasure over Parrikar's behaviour. "This is the festival to give joy to people. Birth of Lord Jesus Christ symbolises hope, but Parrikar’s action of agreeing to give Mahadayi river water to Karnataka has resulted in the state losing its hope for a better future," said Naik. The spokesperson in the letter stated that "the river is a gift for us from nature and our forefathers have worshipped and preserved it. It is our duty to pass it on to our future generation, and not to use it for our petty political gains." The letter went on to request the office of the PM to act like a "real Santa Claus" by impressing upon "Bad Santa Claus" to take back his decision to allow Karnataka to divert the Mahadayi river water. "You would spread a message of hope, love and peace, if you do so on the occasion of Christmas," the letter told the PM. The Sena's letter is in response to the letter written by Parrikar recently to BJP's Karnataka president BS Yeddyurappa softening the former's stand on the water sharing issue.